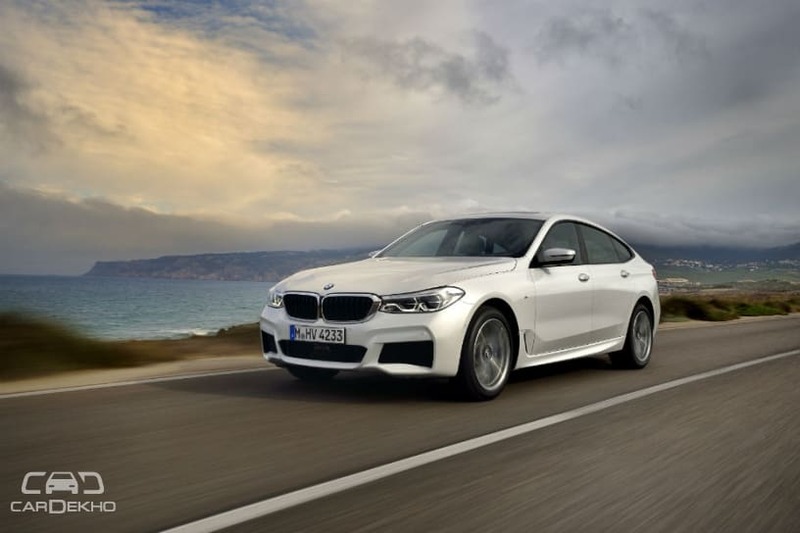 BMW India has added a diesel powertrain option to the 6-Series GT lineup in with prices starting at Rs 66.50 lakh for the Luxury Line and going up to Rs 73.70 lakh (both prices, ex-showroom pan India) for the M Sport variant. Called the 630d, it’s powered by a 3.0-litre, 6-cylinder unit which churns out 265PS of max power and 620Nm of peak torque. It comes mated to an 8-speed steptronic sport transmission which helps it clock the 0-100kmph sprint in 6.1 seconds. BMW has also launched the Luxury Line variant of the petrol-powered 630i GT at Rs 61.80 lakh (ex-showroom pan India). Until now, it was only available in the Sport Line variant. Under its bonnet is a 2.0-litre, 4-cylinder petrol engine which delivers 190PS of power and 400Nm of torque. Here’s BMW’s official statement about the launch. An all-new way to turn heads: The first-ever BMW 6 Series Gran Turismo now available in diesel variant. Gurugram. The first-ever BMW 6 Series Gran Turismo was launched with a new diesel engine variant today. Available now in both petrol and diesel options, the first-ever BMW 6 Series Gran Turismo presents an extraordinary proposition through its unique combination of aesthetic appeal, spaciousness of a coupe, long-distance comfort and dynamic Performance. Locally produced, the first-ever BMW 630d Gran Turismo is available in two design schemes – Luxury Line and M Sport – at all BMW dealerships across India from today onwards. Luxury Line indulges style with elegant contours and luxurious features while M Sport signals enthusiasm for the dynamic side of automotive life. Along with introduction of diesel variants, the current petrol variant of first-ever 6 Series Gran Turismo will now also be available in a new design trim from July 2018 onwards. The new BMW 630i Gran Turismo Luxury Line will get chrome design elements on the exterior and fine-wood trim on the interior. Every BMW pushes the frontiers of technology and innovation. The first-ever BMW 630d Gran Turismo is equipped with an extensive range of BMW ConnectedDrive systems like the BMW iDrive multifunctional instrument display (with 10.25 inch touch screen and touch controller), BMW Navigation Professional, Wireless Apple Car Play, Park Distance Control, BMW Apps, Harman Kardon Surround Sound System and Connectivity through Bluetooth/USB. The Rear-Seat Entertainment system includes two 10.2 inch colour screens behind the front-seat backrests, a BluRay player, HDMI connection for mobiles, as well as various connections for MP3 players and game consoles. BMW Head-Up display in the M Sport variant, with full colour projection, leads to complete concentration on the road.